With the blink of an eye you are already three months old, and I can hardly believe how quickly these past three months have flown by! You are growing every single day, and I love watching you take in the world around you. In the past month you have really starting showing off your personality, and your smiles are getting bigger by the day. We didn't have a doctor appointment this month, so I'm not sure of your exact height and weight. I do know that you are starting to outgrow your three month clothes already and we are currently in the process of transitioning you from size one to size two diapers. We had to pull out your six month sleepers a couple of weeks ago because you were starting to get to long for your three month jammies! You are finally giving us big, gummy smiles and it absolutely melts mommy's heart! You took your sweet little time before giving us a smile, but it was definitely worth the wait! I was finally able to capture that big, dimpled smile on camera one day while we were waiting for your Yaya to meet us for lunch. You were sitting in your car seat as I talked to you and you looked up and gave me the biggest smile. Those dimples started to shine! You go those dimples from your Pawpaw, and I absolutely love them! We have a pretty good night time routine down now. We start off with a bath each night, which you absolutely love! Sometimes you get a little too relaxed in your bath and you drift off to sleep right then and there. After a bath we lotion you down and put on your pajamas. Then daddy usually reads you a book and mommy nurses you to sleep. Some nights you sleep until 4:00 or so in the morning before waking up to eat! You usually wake up anywhere from 2:00-3:00 and when you do mommy pulls you into the bed with us and nurses you back to sleep. You sleep next to mommy in my arms the rest of the night, and I absolutely love it! There is nothing sweeter than waking up to your sweet face next to mine. You had another big first this month, your first boat ride! 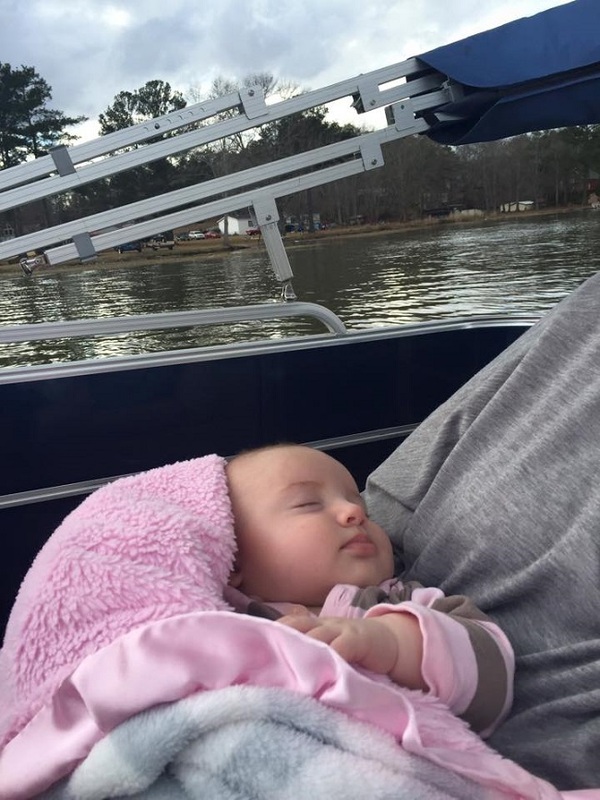 Who would have though that your first boat ride would happen in January?! However, when it's sunny and 75 degrees in January, a boat ride is perfectly acceptable. You loved it! The sound of the motor put you right to sleep. I can't wait to spend this summer on the lake with you. It's going to be so much fun!! You are mommy's little sidekick, and rarely do I ever leave your sight. In fact, you don't let many people hold you without crying. Your Nana says all the time that I was the exact same way as a baby. You may look just like your daddy, but you definitely have your mommy's personality! Mommy is so incredibly grateful that I get to stay home with you. Your daddy is amazing, and he works so very hard so that I get to spend my days with you. We really hit the jackpot with him! The two of us stay busy during the week while daddy is at work. We spend our days at Target, meeting your grandparents for lunch, playing with your puppy brothers at home, and running errands. It takes a lot longer to get dressed and out of the house these days, but I wouldn't trade it for the world! I love spending my days with you, baby girl. You love playing on the floor on your playmat. You have started reaching for the toys above you and grasping them. I have been introducing you to more and more toys by the day. The brighter and louder the toy, the more you love it! You also are still a big fan of your swing! You still take most, if not all, of your naps in the swing. I know we're going to have to cut that habit soon, but it works for us for now. In fact, a few weeks ago your Nana and I took you to Florence to visit your great grandmother for her birthday and we had to go to Target and buy you a swing because you refused to sleep without one! You know have a swing at home, a swing at Nana and Pawpaw's lake house, and a portable swing that mommy keeps in her car for you to use at your grandparents houses. I don't know what we are going to do when you grow out of the swing! 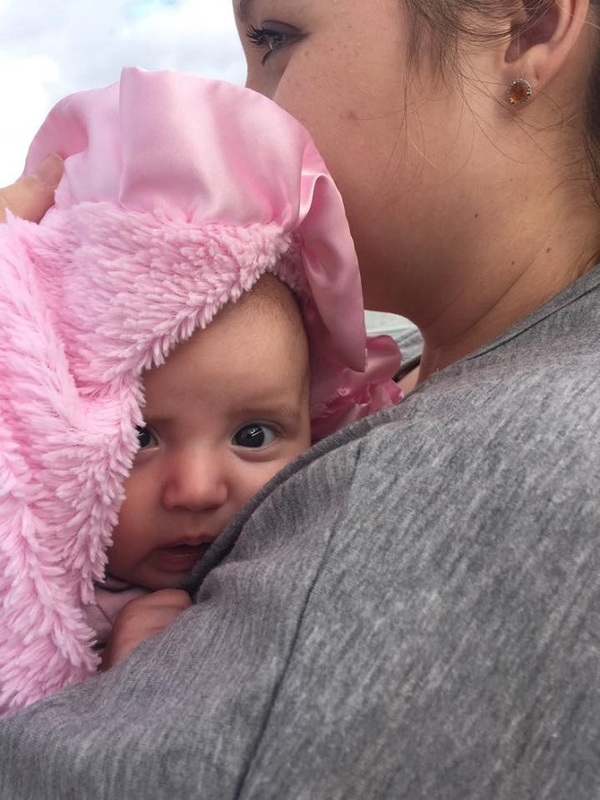 Your other favorite things include baby wearing in your Ergo carrier, your white noise machine (it puts you right to sleep), riding around in the car, and putting your fists in your mouth. I still think that you are going to be a thumb sucker. There aren't many things you don't like, but you certainly don't like for many people besides mommy to hold you. There are so many people who want to love on you, but you won't have anything to do with it right now. 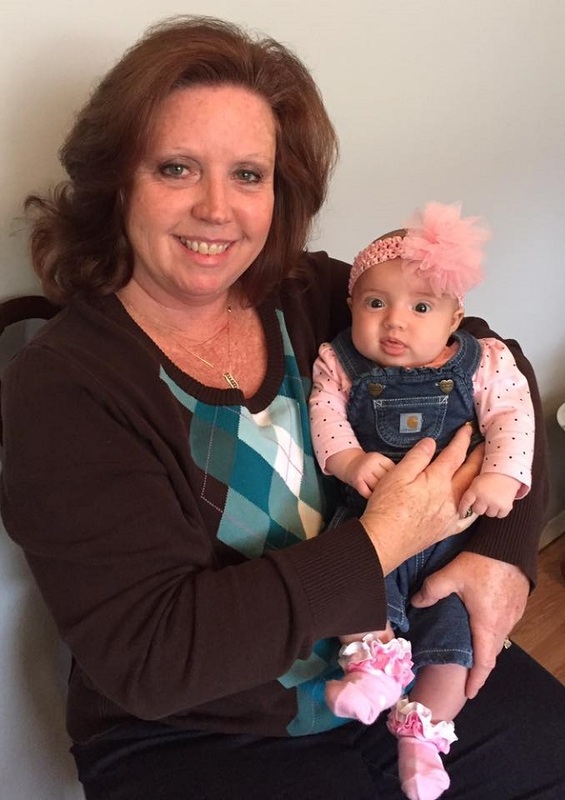 You are the light of our life, Charlie Beth, and we love you so very much! I can't believe she's already 3 months old! It just keeps getting better and better as they grow!! Talk about beautiful! Those dimples and eyes-oh my! Those gummy smiles are the absolute best! I love them so much :) Happy 3 month birthday, Charlie Beth! AMEN! Getting out the house is a major task - I usually have to prep about 20 minutes before I actually need to pull out of the drive way. Before we go anywhere, I offer a bottle and do a diaper change. You are rockin' mamahood!!! It goes by so fast, doesn't it?!? Love her little outfits - so cute! She is adorable!!! What a blessing that you get to spend all of your days with her. Yay for a boat ride! Hi! 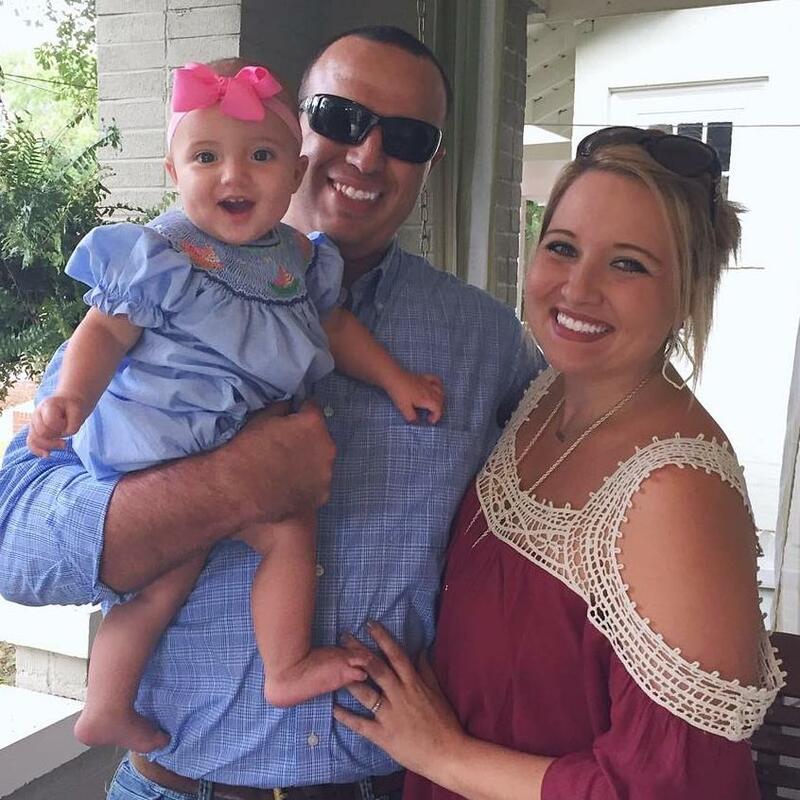 I found your blog through Allison's (Mrs. Southern Mama) and I see your sweet baby girl is about the same age as my baby boy so I'm going to follow along so I can keep up with his milestones since they are so close in age. He was born 11/16/15.